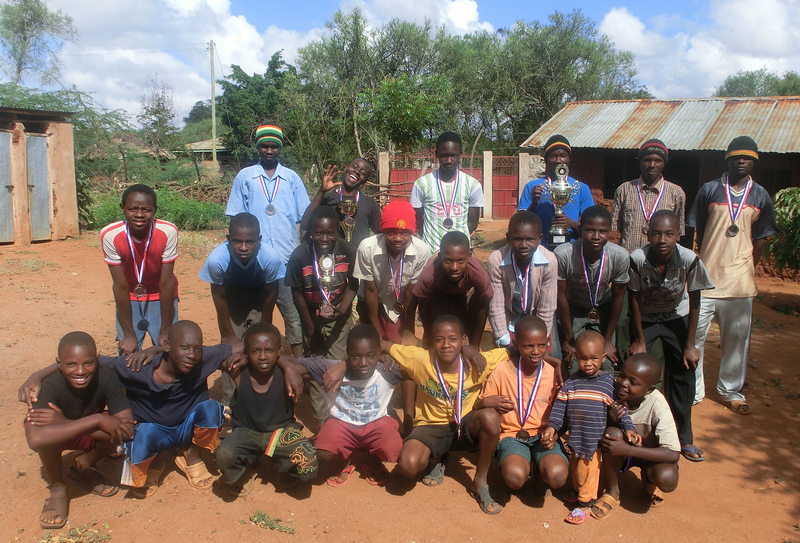 “Michezo rasilimali yetu” – “Sport is our quarry” is the theme of the football team that Julia met in Taveta, Kenya. Rashid and Eric are the founders of the football club, who finance the club out of their own sparse ressources. It is the goal to keep the boys from the street through football and show them that life is worthwhile despite poverty. This especially applies for children which have no higher education, either due to failing to qualify or due to lacking the financial resources. It is therefore especially important – according to Eric – to educate the youths in team spirit, discipline and being a responsible person. For many of the boys football is their life and they hope to be discovered at one of the tournaments. They practice dail and during tournaments even twice a day and show remarkable discipline. To support them in their resilience and their dreams we started this project. To do this, we need your support either through donations in cash or kind. Acquiring a team bus to avoid renting a bus for the away games. We are asking you for your contribution. We are looking for donors, which provide the team with matching track suits. If you have an idea, send an e-mail to julia.kuch@jumpstart-ev.de. Our local project partner: Eric Johnson, founder of the Taveta football club. Julia personally met him and the boys.